Welcome to this week's collection of nostalgia photos from the pages of the Shropshire Star. 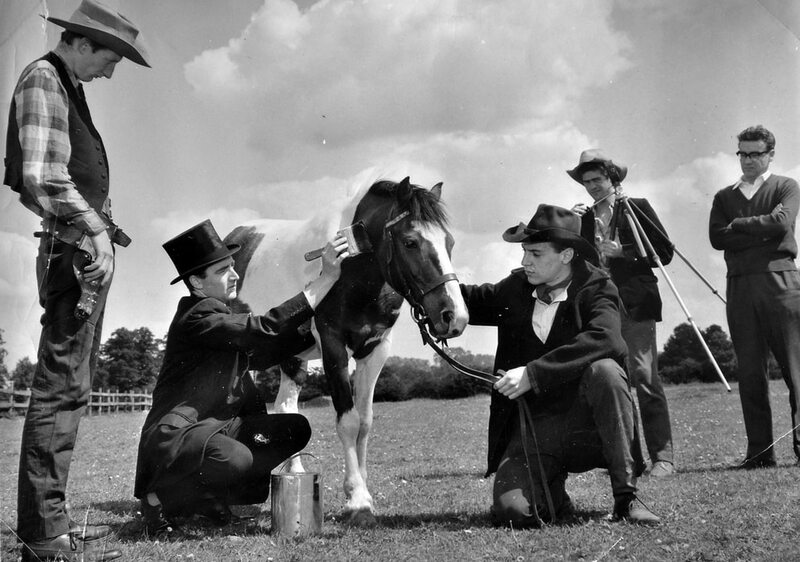 In the summer of 1961 students of Shrewsbury School of Art and their friends filmed a Western called "The Brothers Kane" and, according to a national newspaper, as the five cowboys only had one horse they solved the problem by giving the grey colt Starlight a new coat of paint every time a fresh cowboy rode him. It wasn't actually true, but they played up to it for this picture, loaned by one of the students, Keith Reynolds, of Kinnerley. The film was shot near Queens Head and at Atcham. Standing left is David Lee – "Gunman" on the cast list – who lived at the Lion and Pheasant Hotel at the bottom of Wyle Cop. With the paintbrush is Peter Jones, who played a funeral director. Kneeling is Gerry Plumb, who Keith thinks was an extra. Standing with a camera is Keith Reynolds, and on the right with glasses is Mike Jones, the director. What a great day this was in Wellington, when hundreds crammed into the Square for the Coronation of King George V in 1911. Celebrations were held on Thursday, June 22. This picture is from Mrs Lynne Purcell, and is from the collection of her late father Fred Brown, who came from Wellington and was a historian of Wellington area cinemas, pubs, and so on. Can you identify the flag extreme left? A mischievous clue is that there was on Coronation day a tie up with New Zealand when a Union Jack from schoolchildren in Wellington, New Zealand, was presented to Wellington, Shropshire schoolchildren. But the flag in the picture is actually the Australian flag. A possible explanation is that the New Zealand flag tie-up was arranged by the British Empire League in Australia. Alternatively it might simply have been there for reasons of pan-Empire solidarity. Oi! Get down from there! 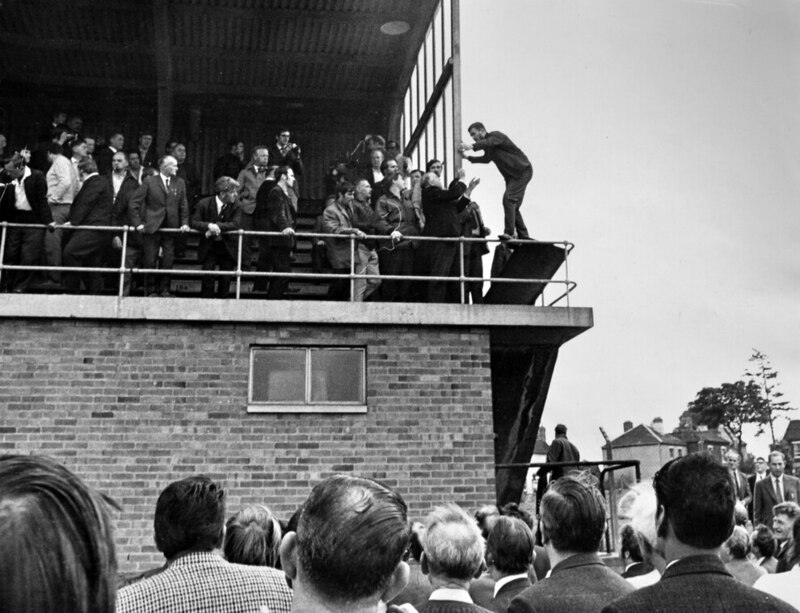 Older Hadley folk might recognise this as the grandstand of Sankey's Stadium – the works football ground of GKN Sankey. These people were not there back in September 1970 to watch a football match though. They were involved in a big strike at the works involving over 5,000 workers – and yes, it really did employ that many people. 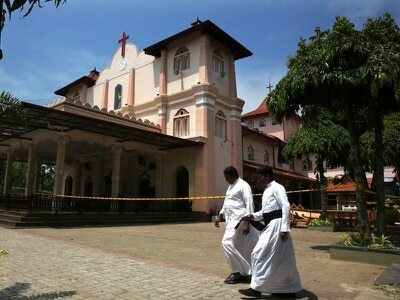 It had started on August 10 and was to last six weeks. This picture was taken on or about September 5 and was a strike meeting, but whatever was discussed did not end the strike, as workers did not go back to work until September 21. Let's have a society wedding today. This is the marriage at Peplow chapel of Miss Leila Dorothy Stanier, of Peplow Hall, daughter of the late Francis Stanier, to Mr Charles D. Farquhar, son of Admiral Sir Arthur Farquhar, of Drumnagesk, Aboyne, which took place on April 16, 1903. 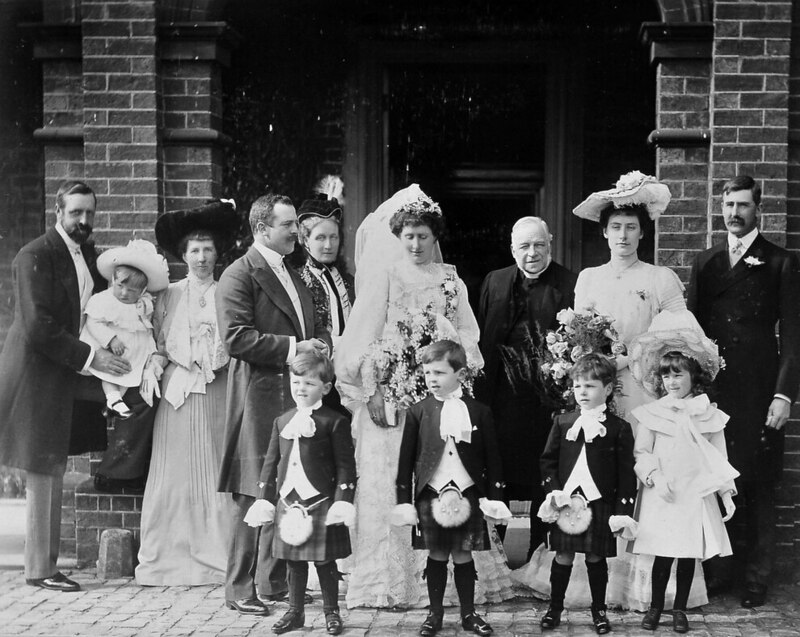 Identifiable far left is Beville Stanier, later Sir Beville, the brother of the bride. The picture is in a family album in the possession of his namesake grandson. The Staniers moved from Peplow Hall to The Citadel, Hawkstone, in June 1920. 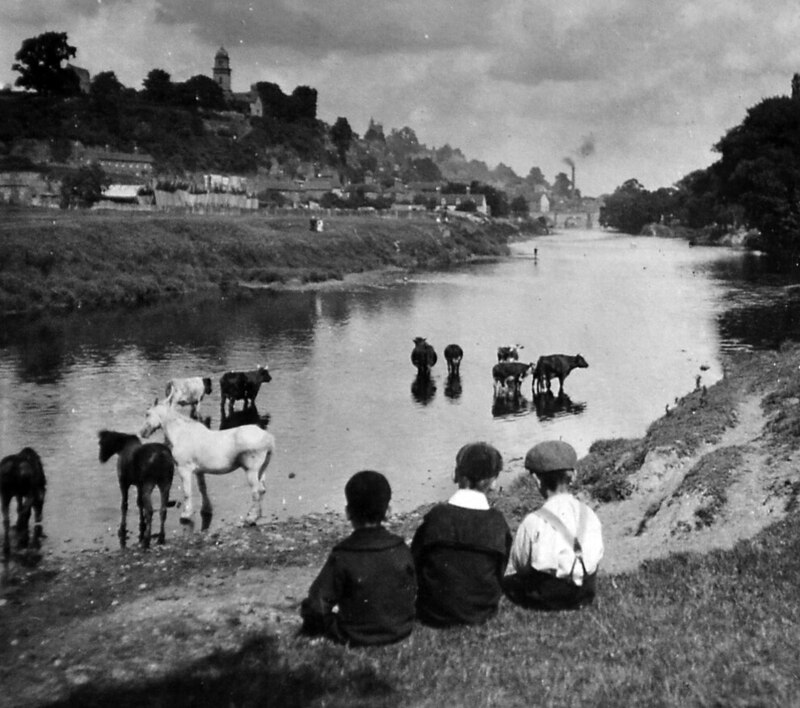 This is a picturesque riverside scene in Bridgnorth, perhaps around 1900, although we don't have the date. It would look even better as a stereoscopic image, and this is just one half of a double image that was intended for a stereoscope – that is, a viewer which would merge two near identical images to give a 3D effect. 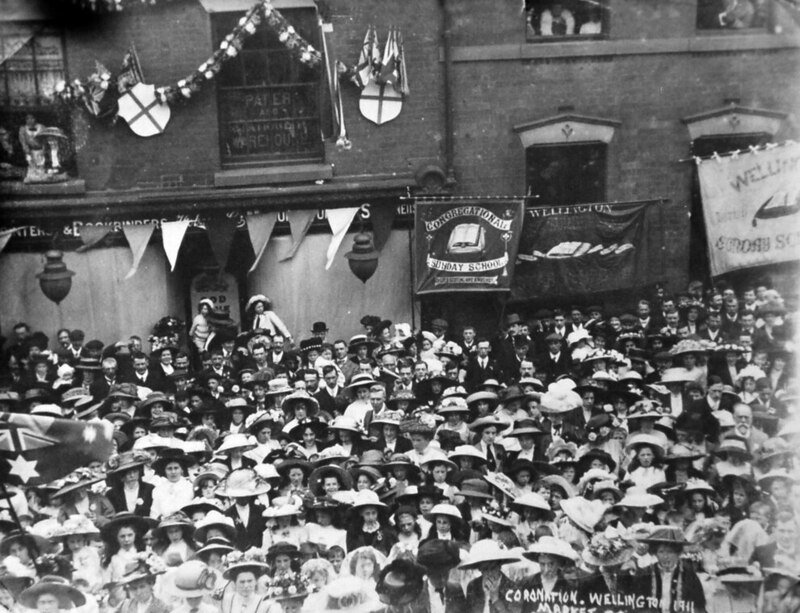 This is from the large collection of Bridgnorth photos and other historical material which were accumulated by the late John Dixon, of Low Town, Bridgnorth and loaned by his son Michael. 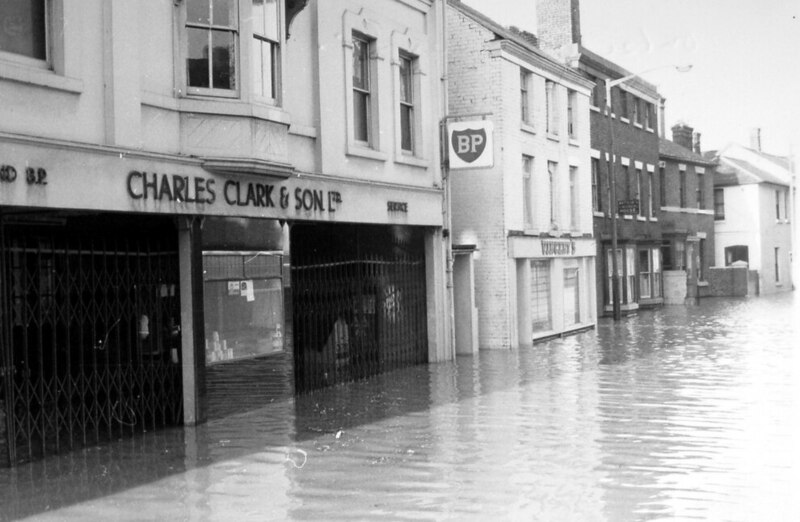 Flooding at Charles Clark & Son in Chester Street, Shrewsbury, in the 1960s. The photo is from Shrewsbury historian and author David Trumper but came originally from Cyril Done, of Shrewsbury, who worked at Shukers Garage, starting from school as a boy in 1930, and being there 50 years apart from war service, retiring in 1980. Shukers was taken over by Charles Clark and Cyril worked his way up to become a director and general manager.